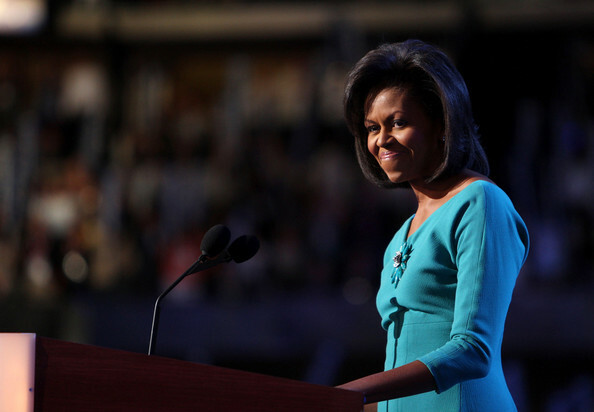 A rousing speech from Michelle Obama and we’re off. With the conventions in full-bloom, we will be treated to two weeks of constant coverage. In fact, with 4,000 delegates at the Democratic Convention and 15,000 members of the media, the convention in Denver is as much a media event as a political one — and that may be an understatement. The same will be true when the Republicans gather next week in Minneapolis-St. Paul. With every aspect of the agenda meticulously scripted in advance, the only drama will be scripted and produced, not spontaneous, and there will be as many surprises as there were at the opening and closing ceremonies of the Olympics in Beijing: none. Lately, many have stressed that Obama needs to seize the advantage after an August of tightening polls, distressingly successful negative campaigning by McCain and his surrogates, and a natural lessening of voter interest during the summer lull. But in truth, the nature of modern conventions means that the risks are much greater for Obama than McCain. Why? To begin with, since the 1970s, the conventions have been stage-managed to an inch of their lives. Devoid of twists and turns, they are essentially a series of coronations speeches interspersed with promotional videos and music. The visceral appeal of these gatherings for the party faithful and professionals who form the backbone of each campaign is undeniable. As motivational tools and as a way to energize and mobilize the parties, the conventions are a vital part of the presidential campaign. As a venue to bring together politicos and reporters, as well as lobbyists, they always serve a function. But they don’t decide anything, and increasingly they don’t really matter to the voters. Networks have long realized that. In 2000, the networks seriously considered dropping coverage altogether except for the acceptance speeches of the president and vice president. Ratings have stabilized but are still a far cry from what they were, and in 2004 rarely surpassed 5 million viewers per network, which is a fraction of those who watched the Olympics. People don’t watch largely because there are no surprises and little in the way of new information. This time will be no different. Parties have no reason to allow for spontaneity. Why take the risk? It wasn’t always this way. Conventions were once upon a time the lifeblood of national politics, where parties congregated and actually selected the nominee. When conventions were first covered by television, in Philadelphia in 1948, they were covered in total, and by the 1950s, gavel to gavel coverage was the norm. What’s more, everyone watched, in part because there was nothing else on and in part because they felt some civic duty to do so. With the chaos of the 1968 Democratic Convention in Chicago, party leaders determined to make the nominating process less dependent on the party insiders and more on the primaries and caucuses. They also vowed never to let dissension be televised. Dirty laundry was no longer to be aired in public. That led to the Republican Convention in Miami in 1972, which could only be reached via a causeway and avoided the scenes of protest that would almost certainly have greeted Nixon. While there have been a few surprising moments since then - Edward Kennedy in 1980, Barack Obama giving a stirring speech in 2004 - the conventions have been drained of their content and left as two-dimensional infomercials. The result is an inverse relationship between the amount of commentary and the amount of real content. Make no mistake: conventions have assumed their own peculiar, albeit important, place on the political calendar. They offer major candidates a chance to control the agenda and the media for four days, and to craft an agenda, a tone, and an approach. But they also represent many of the failings of modern politics - the relentless messaging, scripting, and polishing of image. McCain, on the other hand, needs stage-managing. He isn’t great off the cuff, and speeches aren’t his forte. His image can be burnished by good P.R. and bells and whistles, precisely what modern conventions excel at. He can be cast as the lead, and as long as he doesn’t flub his lines, he is likely to emerge with his image buffed and polished. Obama needs more than a good image: he needs passion and he needs people to recognize that an image is only meaningful if it is real, rather than the product of talented professionals who have labored to construct it. The edifice of the modern political convention is a straight-jacket, and it’s hard not to be concerned that it will constrain Obama rather than propel him. What if he had eschewed the convention or tried to engineer it in a new way? That would have been something, but also more than his own party would have been able to stomach. His best hope is to make a great speech and then get out of town and back on the road, treating the convention as just another stop along the way. This week - which will be so full of praise and enthusiasm - is a dangerous moment for him, four days of non-stop conformity for a candidate who needs to be different in order to win.